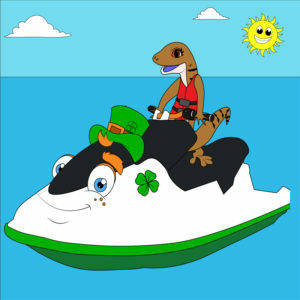 BlueZilla is a Blue tongue lizard that loves playing in the water and riding Jet Skis more than anything! 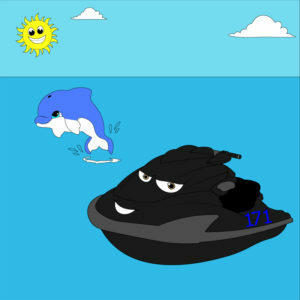 Q is a happy and funny Jet Ski who loves to jump and do broncos. 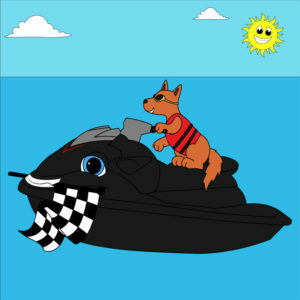 Cossie is an amazing Jet Ski riding Heeler. 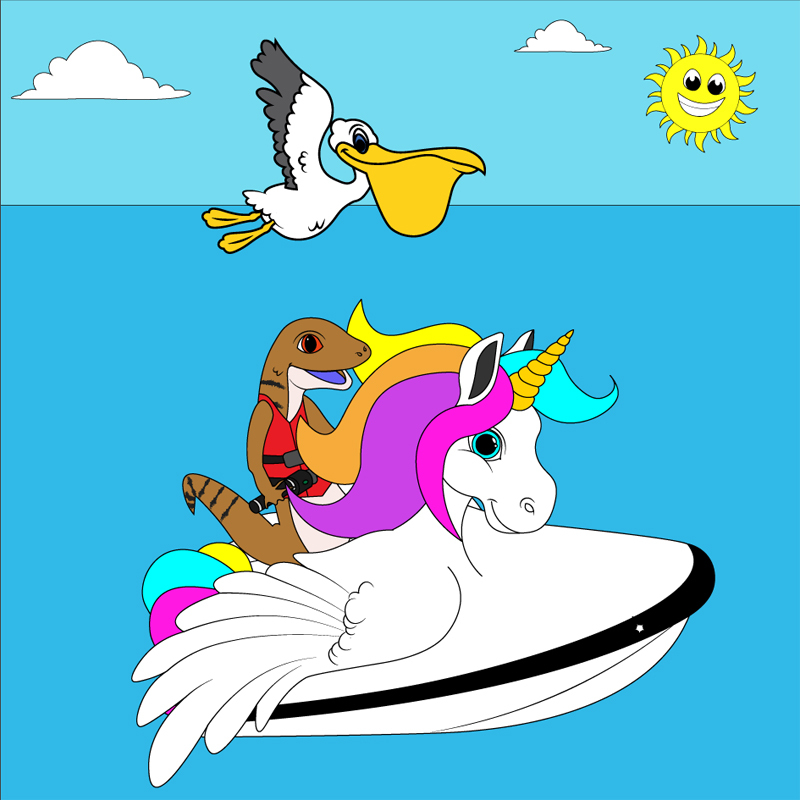 Kwilana is a friendly little Dolphin who lives with her family in Paradise Bay. Percy is a member of the Pelican family who live at Paradise Bay. He loves to fly along with his friends on the water. 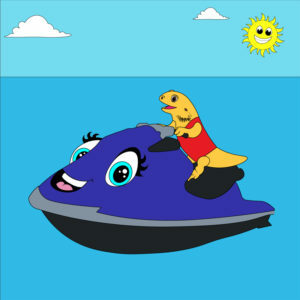 Petunia Petal is BlueZillas younger sister who also loves Jet Skiing! 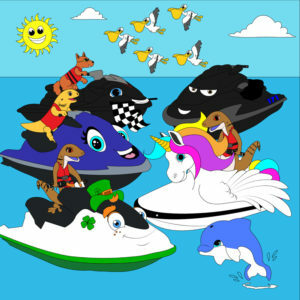 Unicorn is a magical little Jet Ski who has many Jet Ski adventures and fun with all her friends.